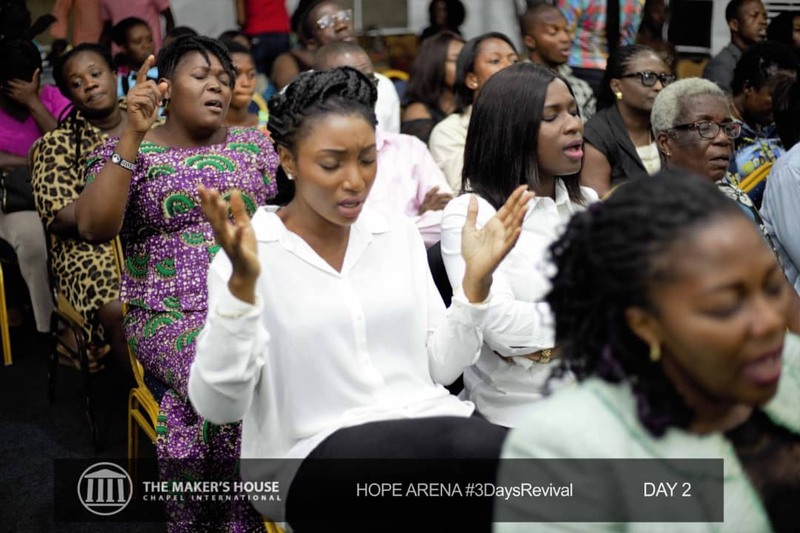 From 12th to 14th December 2018, Accra will experience fullness of spiritual restoration and breakthrough as The Hope Arena of The Maker’s House Chapel Int. Presents “The Rains Are Falling” Mega Revival. This Revival Will be hosted by the highly anointed special guest, Dr. Michael Boadi Nyamekye (PhD), with the aim of restoring the spiritual life of God’s people, and returning them to the bountiful life God has destined for them. Last month (November) which was the month of fruitfulness proved itself of The Lord’s abundant grace in the lives of His children. In December this month, we shall witness the falling rains, hence the theme “The Rains are Fallling”. We believe that when the rains fall on us spiritually we would grow, bear good fruit, multiply and then make that impact the Bible talks about in John 15:1-27. The Hope Arena is calling on the young & old, professionals, pastors, students, couples, bachelors and all and sundry as we seek to prepare and usher the congregation and everyone into a new year; with the assurance that so far us the rains have fallen and they remain in the vine which is Jesus Christ, they have no choice but to bear fruit and make impact in 2019!